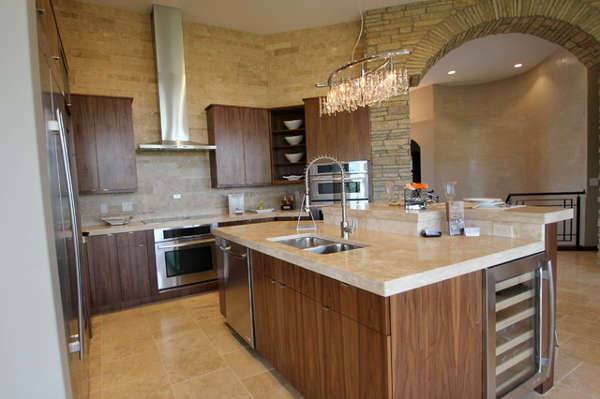 Use travertine as a match to an accented stone wall. Like this traditional kitchen the tan and cream colors of the floor tiles mach the kitchen furniture without breaking the color scheme. 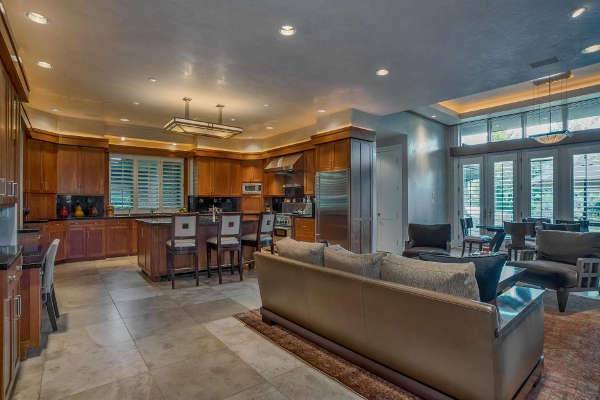 Stone floors of travertine are a great choice for both spacious and small rooms. It gives you a sophisticated and elegant look that will make your kitchen your favorite place. 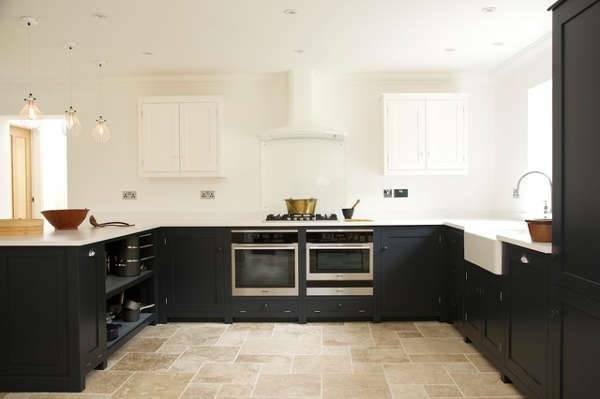 Use large square tiles to form a polished look for your kitchen. You can warm up the coldness of the grey color with natural wood colors or a warm toned carpet. 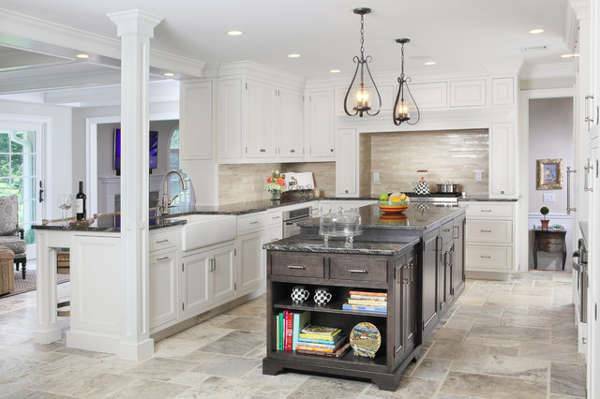 In case you have a black and white kitchen, you should consider travertine tiles for the floor to balance out the coloring. You can also accessorize with rust colored kitchenware to match the floor tiles. 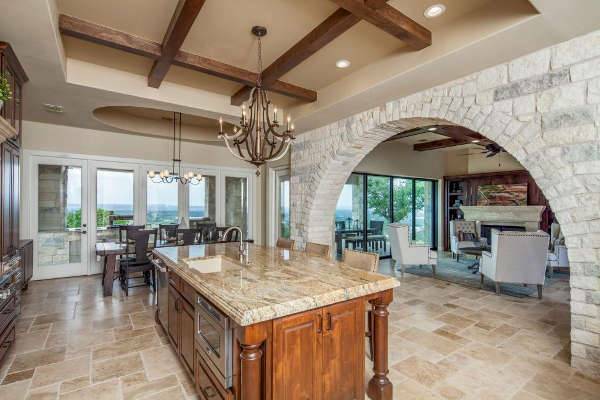 For this polished travertine kitchen idea both the cabinet’s countertops and the island are covered with travertine. The look gets complete by using neutral colored backsplash for the walls. 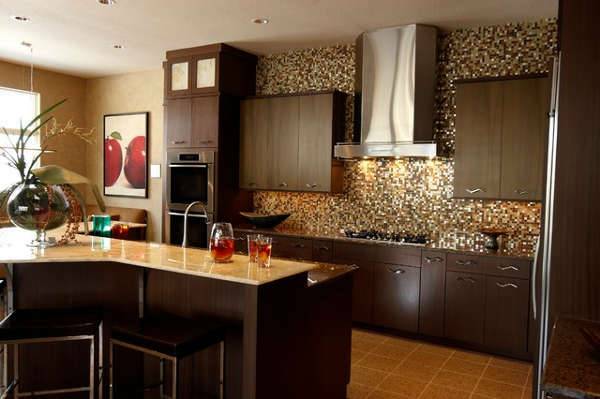 You can create a mosaic effect with travertine tiles. The colors and the sizes of the tiles can give an interesting character to your kitchen. Because of the colors of travertine natural stone tiles it will give a luxurious look in your space. 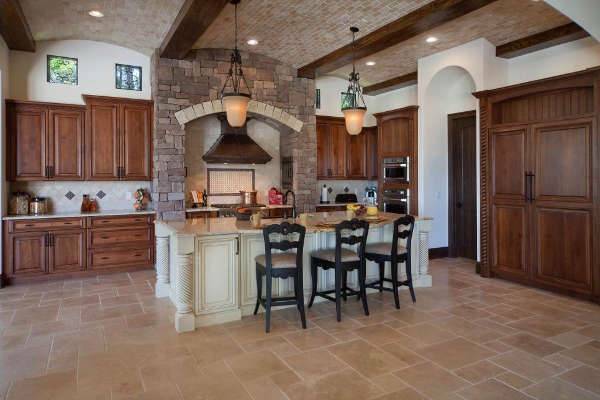 For a traditional style you can use travertine brick tiles for your kitchen’s backsplash. 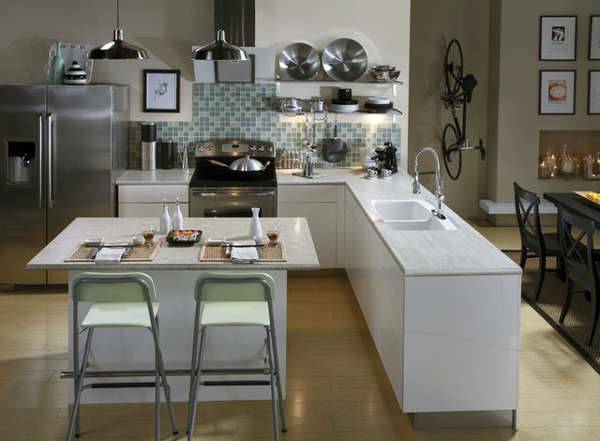 The natural look of the material will give a homey look in your kitchen. 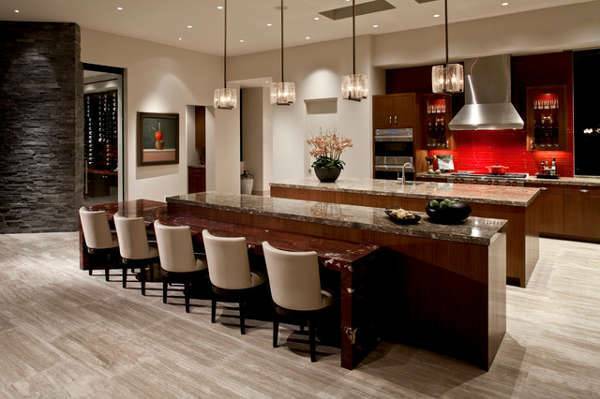 This contemporary styled kitchen incorporated travertine tiles in the same color scheme of the room. The colors and the strong look of the backsplash create an elegant approach. In case you chose travertine tiles for your kitchen, you have to consider the maintenance and care they require. 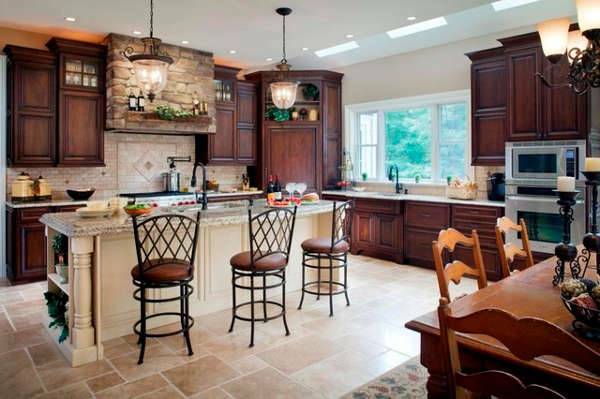 This natural stone material is perfect for remodeling your kitchen. It can be considered for any style and color combination you might choose for your kitchen, giving a really enchanting outcome.